Will Sanjay Dutt approve daughter Trishala Dutt's Italian boyfriend? 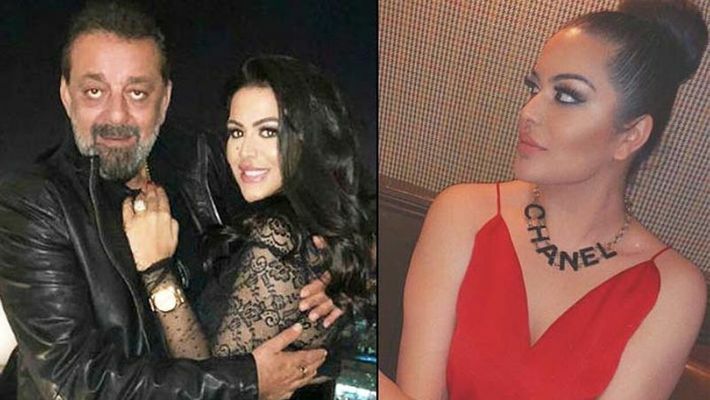 Sanjay Dutt's daughter Trishala Dutt is painting the city in red as she recently opened up about her Italian boyfriend in the caption. Mumbai: Sanjay Dutt's daughter Trishala Dutt completed her Masters in Psychology from Hofstra University last year. The Dutt daughter is quite the Internet sensation, and regularly posts amazing pictures and video for her 2.9 lakhs followers on Instagram. Trishala is Sanjay Dutt's daughter with his first wife Richa Sharma, who died after battling brain tumour in 1996. She was brought up by her maternal grandparents in the USA, where she currently stays. Recently, Trishala posted a picture on her social media handles where she is seen enjoying pasta at a restaurant along with a glass of wine. While sharing the picture, Trishala was seen bragging about the perks of dating an Italian guy in the caption. "dating an Italian boy means lots of pasta and lots of wine," she wrote on Instagram. Just after that, she received comments from her fans asking her to post the picture of her boyfriend. Some said how lucky the boy is to have a girlfriend like Trishala. A few unhappy, heartbroken fans gave a piece of advice to the superstar daughter to better date an Indian boy and described them as loving and caring. It remains to be seen if Sanjay Dutt would or has already approved Trishala's new relationship. But currently looking at her posts on social media, it looks like she is now in a happy phase of her relationship. She is now a permanent resident of New York and is also the CEO of Sanjay Dutt Productions Pvt. Ltd and is the founder of DreamTresses Hair Extensions in New York.